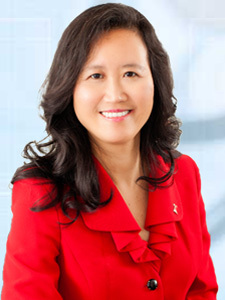 Dr. Cynthia is a Harvard-trained Los Angeles cardiologist who practices with her heart. 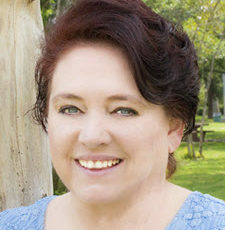 She helps replace stress, fear, anxiety in her patients and instills a sense of inner calm and peace by educating and inspiring them to take proactive steps towards health and healing. She has helped thousands of people transform their lives through the ways they think, feel, and act. Doddie Wilson is a certified adult nurse practitioner who assists in providing primary health care to Dr. Cynthia’s patients. 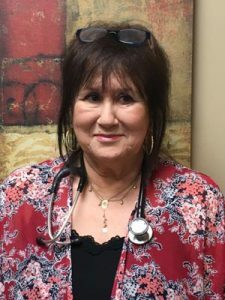 Doddie has over twenty years of high-level nursing experience including coordination of in-hospital cardiac clinical trials, serving as the primary nurse in Dr. Cynthia’s congestive heart clinic, and involvement in community home health nursing. Lisa Kara is a Nutritional Therapy Practitioner, certified Holistic Health Coach, and member of the National Association of Nutrition Professionals. Lisa is the founder of Zinc Nutrition, a private nutritional therapy practice based in Los Angeles. Lisa specializes in teaching her patients how to eat right for their own body. Lisa is trained to identify nutritional deficiencies that can lead to disease. She educates her patients on how to use food to prevent, manage and reverse disease. Lisa believes in the healing power of food and uses it to improve lives. Laura Nava is a Weight Loss Coach at the Holistic Healing Heart Center. She meets with dieters on a weekly basis to discuss any challenges or concerns they are experiencing, provides valuable nutrition education and support, and tracks patient weight loss success. She is dedicated to educating others on solutions to obesity and metabolic syndrome. She enjoys helping others achieve their weight loss goals to live healthier lives. 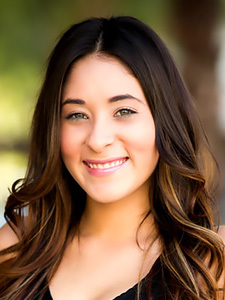 Brianna Quezada has over 5 years of experience working in the cosmetic field. While pursuing her career in nursing she’s worked as an injector assistant as well as aiding patients in all aspects of their care. 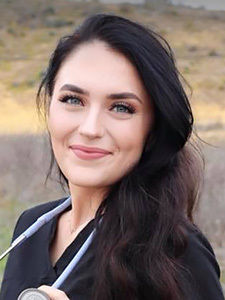 Since becoming a Registered Nurse (RN) she’s worked in the operating and recovery rooms and has since transitioned to the role of aesthetic nurse injector. An Aesthetic Nurse who’s worked alongside plastic surgeons and other physicians specializing in aesthetics.Josh has over 2 years experience as a nurse injector working in a plastic surgeons office as well as local Med spa. Josh brings his experience and charm to assist in providing great service to our patients. Josh works closely with his patients to help them achieve the look they want. Diana Quezada Joins our practice with a 25yr background in the Medical field. She was certified and trained as a Surgical technologist, with that experience She then ran 2 outpatient surgery centers one in Beverly hills and one in Valencia. She brings her experience and care of her patients to our cardiology and Medical Spa Practice. Ashley joins us from the Hawaiian Islands after training in hospice care for over 3 years where she received her training in administrative services. She return to her hometown of Burbank to raise her daughter and complete her degree in healthcare administration. 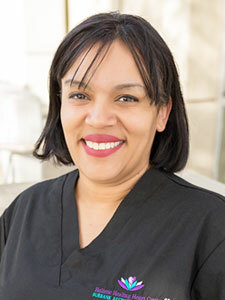 Carla joined our practice after receiving her Medical Assistant degree, she has assisted Dr. Thaik for the last 2 years with all of her Cardiology patients as well as receiving her certification in the BioTe program to assist Doddie Wilson with the hormone replacement program. Carla continues to learn new techniques and programs to bring to our practice and to better help service our patients. Kelli Lendman graduated from College of the Canyons and is in process of getting her BSN. Kelli is known for her warmth and dedication to client satisfaction. She focuses on helping clients meet their goals by listening to their individual desires and then shaping a tailored treatment plan. She’s passionate about helping her patients achieve their aesthetic goals.